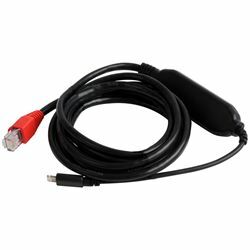 The Redpark Ethernet Cable is designed for use in field service applications, enabling field technicians to use Ethernet to connect an iPad or iPhone to equipment in the field. The cable is compatible with any iOS app that makes use of the RedSocket software development kit. Requires iOS 8.0.x or later.